New Power Rangers: Battle For The Grid Trailer Released! A new trailer for the upcoming nWay video game Power Rangers: Battle For The Grid video game has just been released! This new video contains the first official gameplay footage for this upcoming Power Ranger adventure, detailing a number of playable characters. And more heroes still to come! 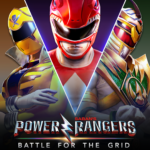 Power Rangers: Battle For The Grid will be released in Spring 2019 for all major video game consoles! 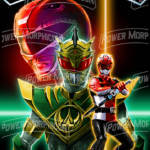 Power Rangers: Battle For The Grid Official Trailer Released! A new trailer has been released for the upcoming nWay video game Power Rangers: Battle For The Grid has just been released! This new venture is a special fighting game featuring characters from across Ranger history- including the villainous Lord Drakkon. Battle For The Grid will be a cross-platform adventure, releasing for the Xbox One, Nintendo Switch & PlayStation 4! The game is currently scheduled for release in April 2019. 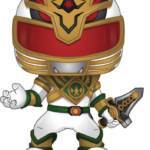 Power Rangers Lord Drakkon Funko POP Figure Revealed! 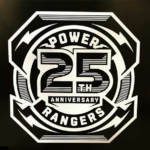 ToyWiz has revealed the next Power Rangers character to make the jump to the fan-favorite collectible series Funko POP! The infamous BOOM! Studios comic book villain LORD DRAKKON will be recreated in miniature plastic glory! 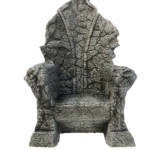 This figure has a limited production run of 30,000 pieces and is tentatively scheduled for release in January 2019. Lord Drakkon’s Funko figure is now OPEN FOR PREORDER at the relatively affordable pricetag of $12.99 USD! 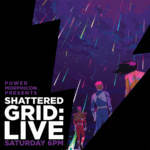 The end of the Shattered Grid is approaching. 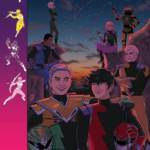 While the last appearance in the main book will be Mighty Morphin Power Rangers Issue 30, there will be a one-shot double sized Shattered Grid Finale issue released which will show us the end (?) of Lord Drakkon! BOOM! Studios has shared the wrap around holofoil cover variant for the finale special. Check it out! Hello there Power Rangers Beast Morphers!